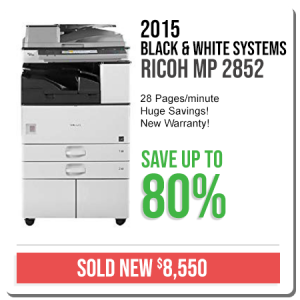 Being in business since 1986, we offer more choices than anyone. Above is just one of many giant wholesalers that we have worked with for over 30 years. 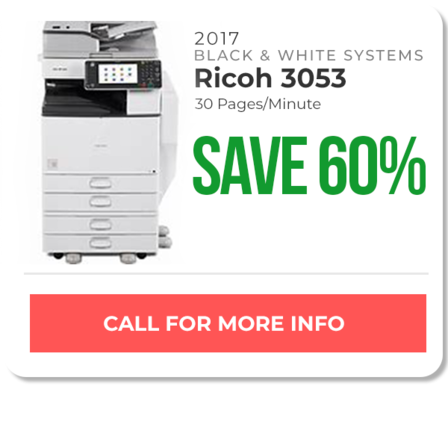 It gives us so many choices to meet companies needs. 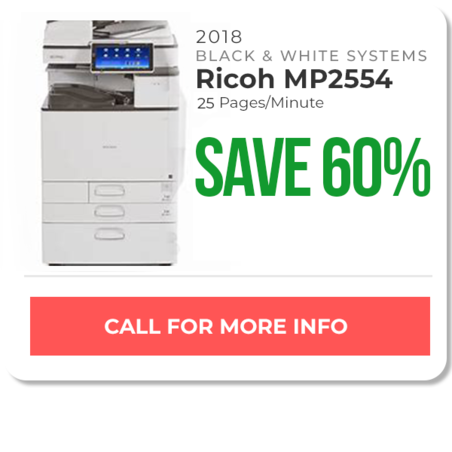 Our showroom includes a huge variety of outstanding black ink printers perfect for the office that needs a powerful machine for standard printing. 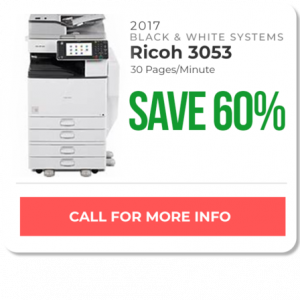 With high speed machines that offer multifunction capability, including two-sided printing and faxing. 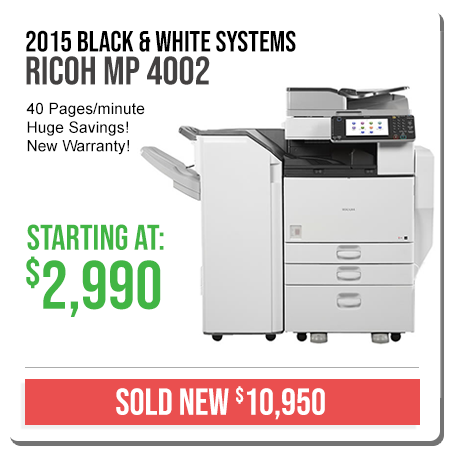 Arizona Copier Outlet is your number one place for black ink printers. When your office requires a huge volume of non-color printing, you need a machine you can count on. We are proud to offer a selection of top quality printers that provide a range of options, including scanning (20-80 pages per minute), collating, stapling and more. 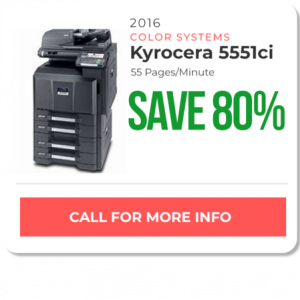 With copiers that feature fast copying speeds and easy functionality, you’ll be glad you picked Arizona Copier Outlet for your copier products in Phoenix, AZ. 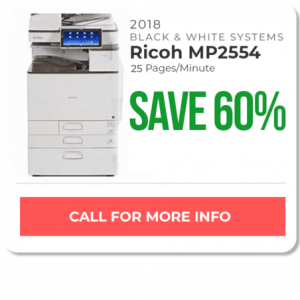 If your business requires you to print out a variety of colored brochures, pamphlets, flyers and other materials, consider purchasing a copier/printer at Arizona Copier Outlet. 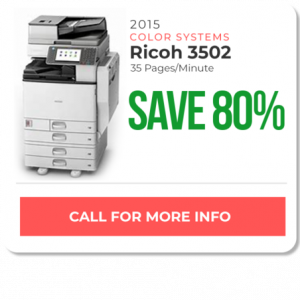 These highly functional machines offer state of the art features, from full or partial colors to zoom-sized copies. 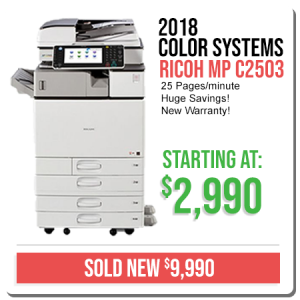 Our color systems boast copying speeds from 20-80 copies per minute, allowing you to have the type of equipment you need in a fast-paced office environment. 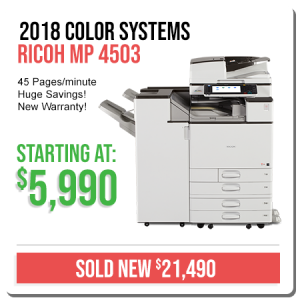 While these machines would normally cost you well into five figures or high monthly leases, we sell or lease Like-New restorations that allow you to have the same level of quality at a fraction of the price. There is a reason why we are a leader in copier sales in Phoenix, AZ. 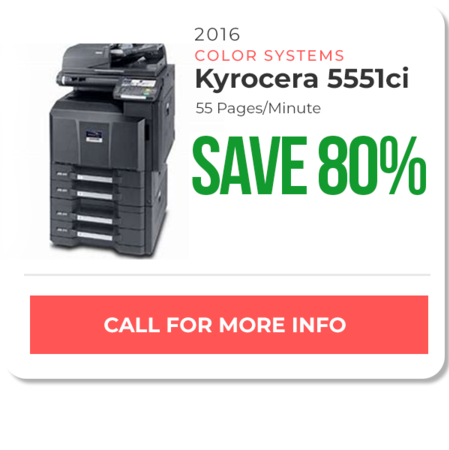 When you want to buy or lease outstanding equipment at affordable prices, call Arizona Copier Outlet at 602-678-6911. 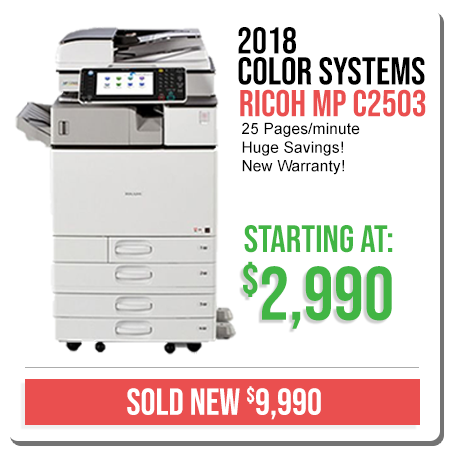 Many more choices from 20-80 copies/min starting at $1,290.Brand new 2019 models available at 40%-50% off with new warranty – Call for details! 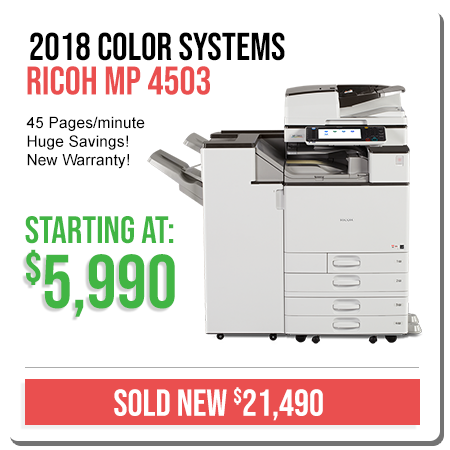 Showroom: Please Call for an Appointment!